I don’t remember the exact date, but I definitely remember. I remember that moment when I first saw fresh cranberries. Up until then, I had only seen them in that wiggly soup-can-shaped format–you know the one. Since, I have always preferred the more fruit-like cranberry sauce, but even that has its shortcomings. 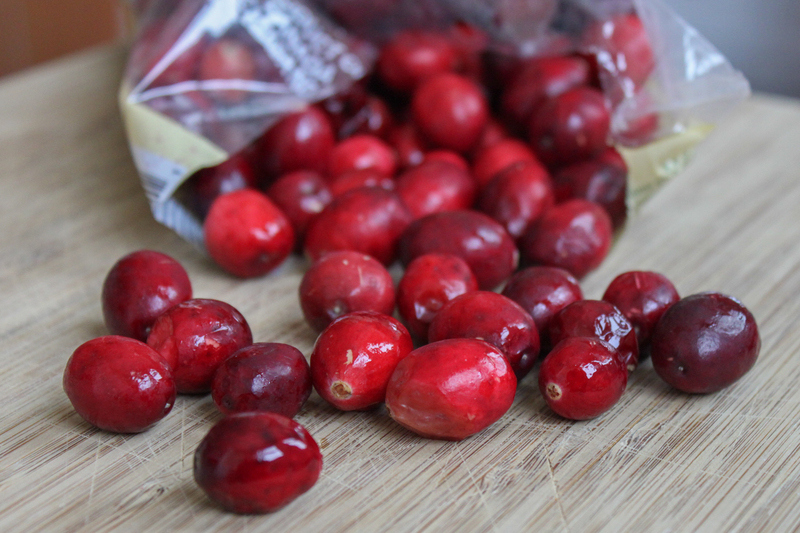 Cranberries are beautiful and I want to feast on a sauce that not only showcases their gorgeous color and flavor, but also their grape-like shape. So I baked them. 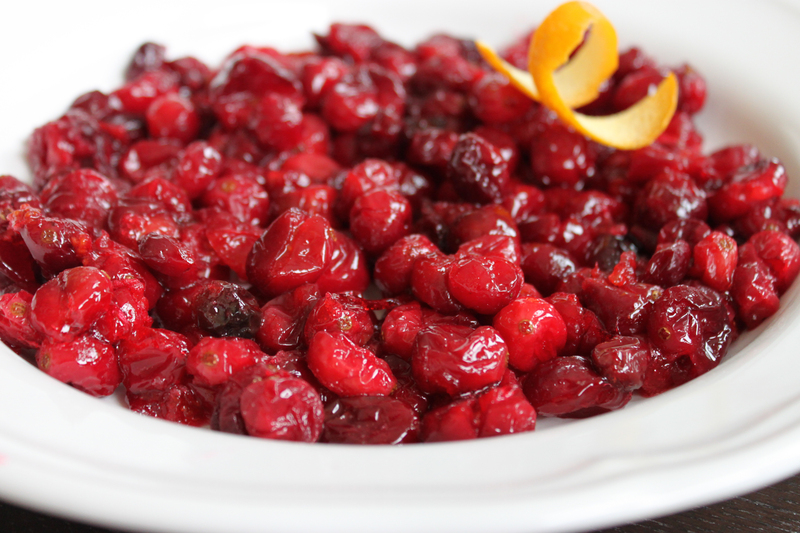 Though firm when raw, cranberries fall quickly to even just a little heat-you don’t have to bake them long. 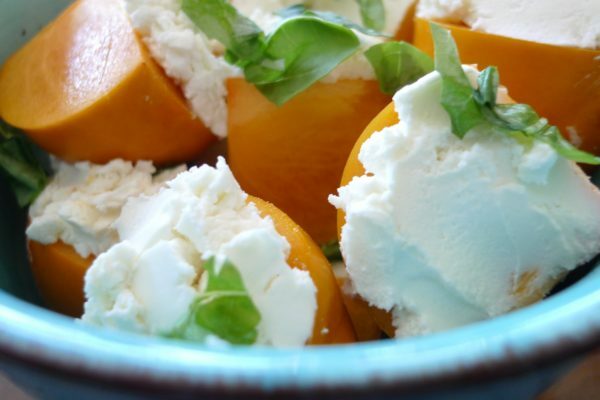 When finished, they are warm and almost melt in your mouth. This is how the cranberry is meant to be enjoyed! Halve 2 oranges. Then in a large mixing bowl add 1/2 cup of sugar and juice the orange halves. 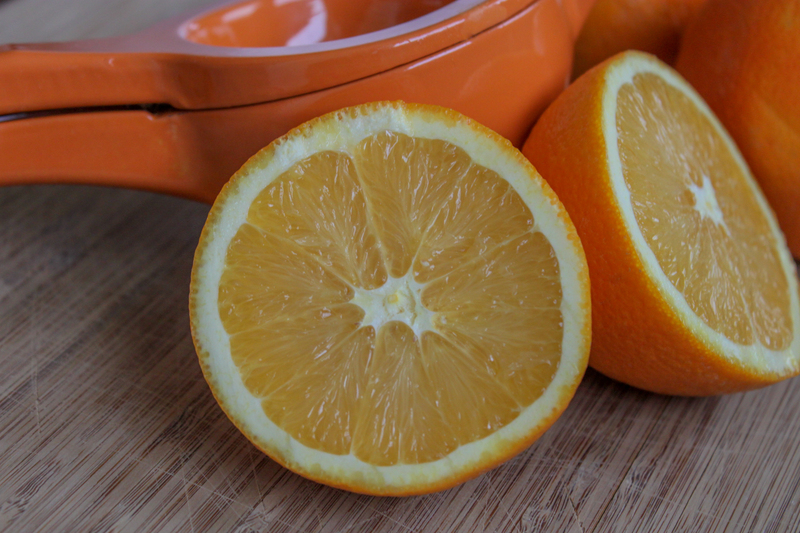 In my video, I mention just using one orange but I found two works a lot better. Add 1 shot of Triple Sec and whisk together the juice and sugar mixture so that the sugar is mostly dissolved. Add in 1 12-ounce bag of fresh cranberries. Mix the cranberries so they are lightly coated. 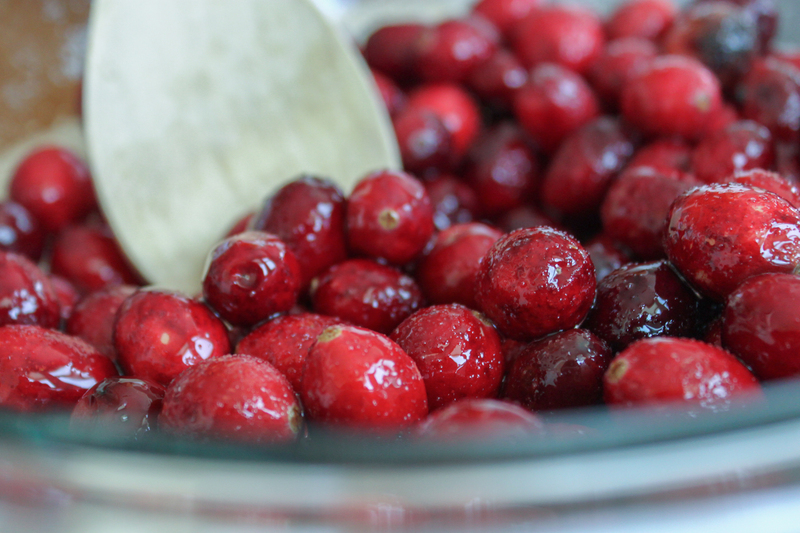 Place the cranberries in a baking dish or on a shallow cookie sheet. 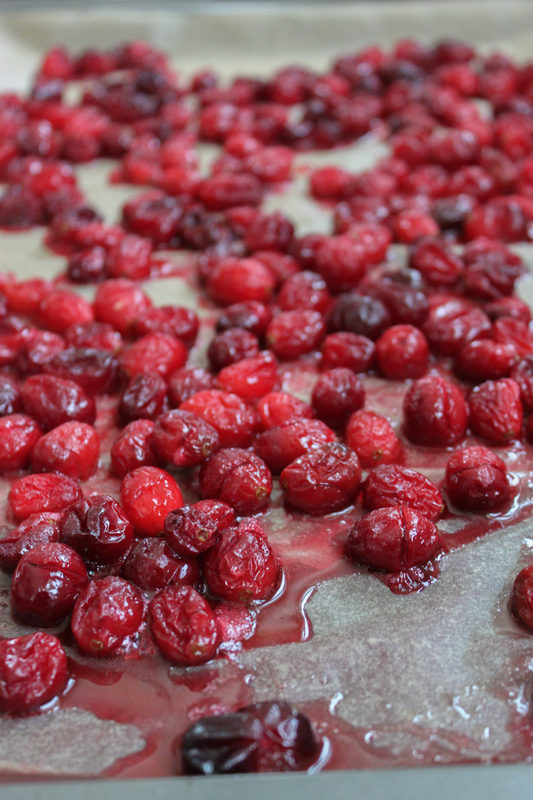 Bake the cranberries at 350 degrees for about 20 minutes. 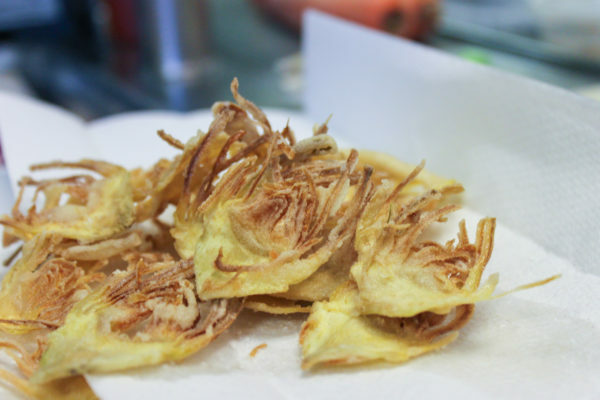 When they have wilted, broken open and look like these gorgeous things, take them out. 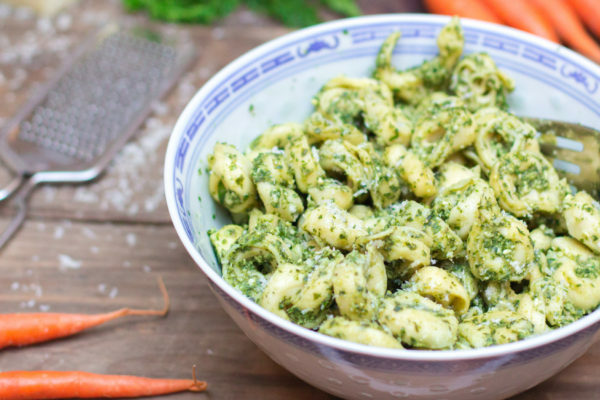 You can chill them and serve them later but they are best hot and gooey. So I would bake them right before dinner is ready to be served and then enjoy!